WE LOVE THESE! When there’s a veggie in it, it’s healthy. Right? 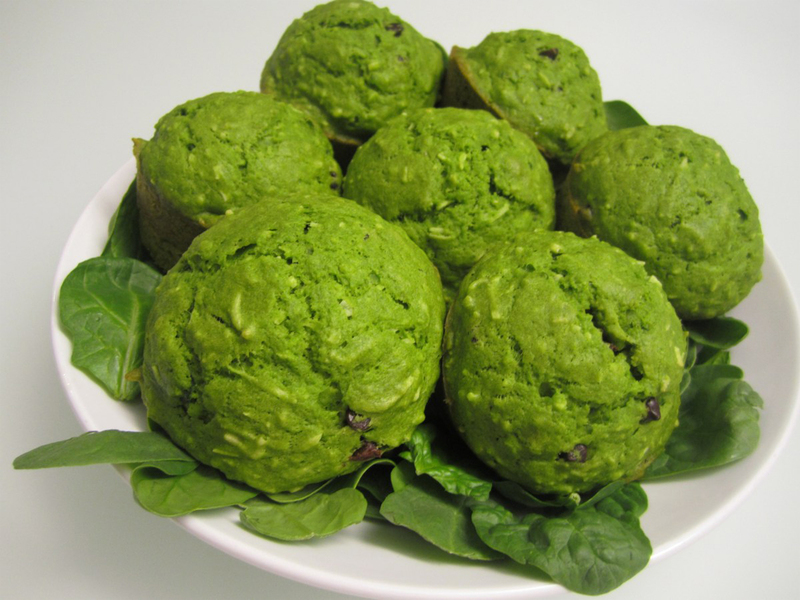 These are amazing muffins, loaded with spinach. My little guy named these, can you tell? He called them “Hulk” Muffins because how green they turn out, and how strong they make you. My kids love every bite of them. Who wouldn’t? Delicious and nutritious. Every bite gets you a mouthful of spinach! In a blender, blend together the spinach and almond milk. Add the syrup, egg, and vanilla to the bender. Blend for about a minute. Pour this mixture to the flour bowl and mix well. Add the coconut oil. Fill muffin tins and place in oven for about 25 minutes or until a toothpick comes out clean.